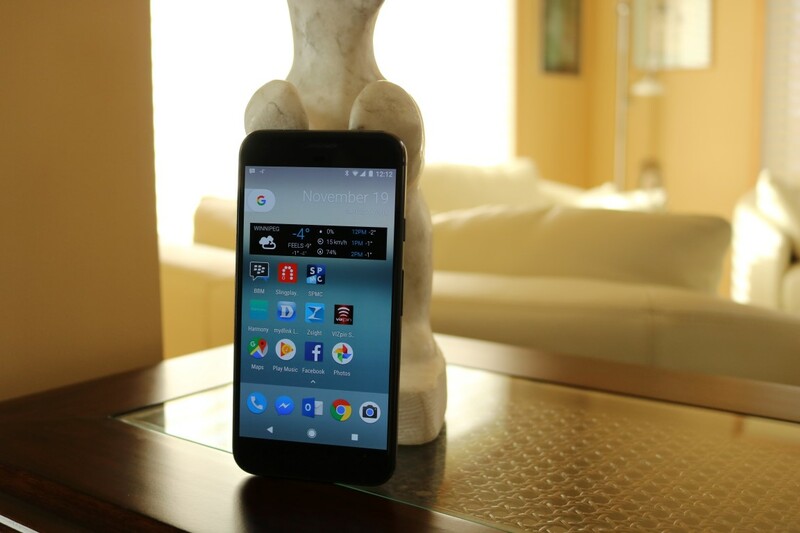 Googles Pixel XL - One Week Later | alpha technologies Inc. Here at alpha we are all about technology. Whether it is work related, or used for entertainment, we have our eye on all areas. One of the devices that applies to both areas is a smart phone. alpha, for the most part, has been BlackBerry based, the most recent device being the Priv, an Android flavored product that has both physical and soft keyboard. 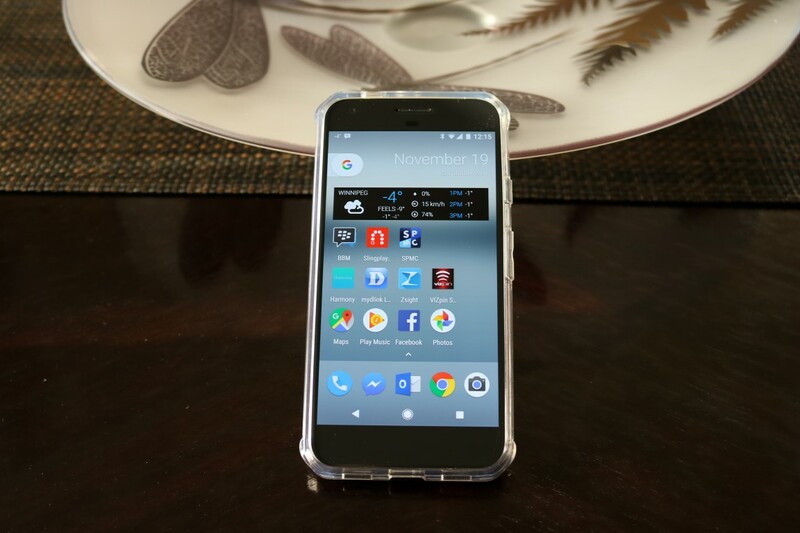 This was my device of choice for about a year, but recently started having some screen issues and not being much for repair, I started to keep my eye on the latest new product offering from Google. 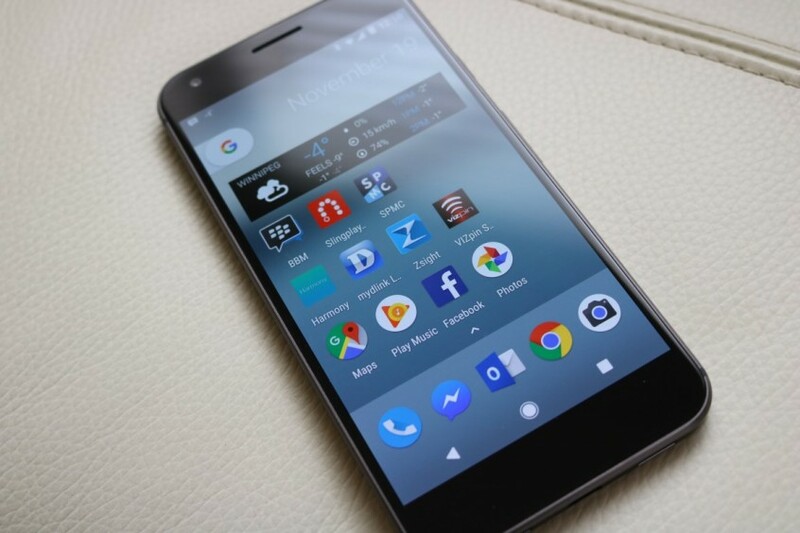 In the past, Google preferred to stay in the background releasing Android to hardware vendors that would skin and modify the OS. This gave unique flavors to each manufacturer. Samsung, LG, Sony, and HTC to name a few of the larger Android supporters. The Nexus line of products represented a closer step for Google to their own branded product, but still allowed room for the OEM (original equipment manufacturer). These were considered to be Googles flagship products, getting OS updates before other devices, and keeping the OS clean with little bloatware. Then Google announced the Pixel and Pixel XL. This represented a further evolution to the brand by being involved in designing both hardware and software to work together. HTC is the builder, but you won’t find any branding besides the G on the back. 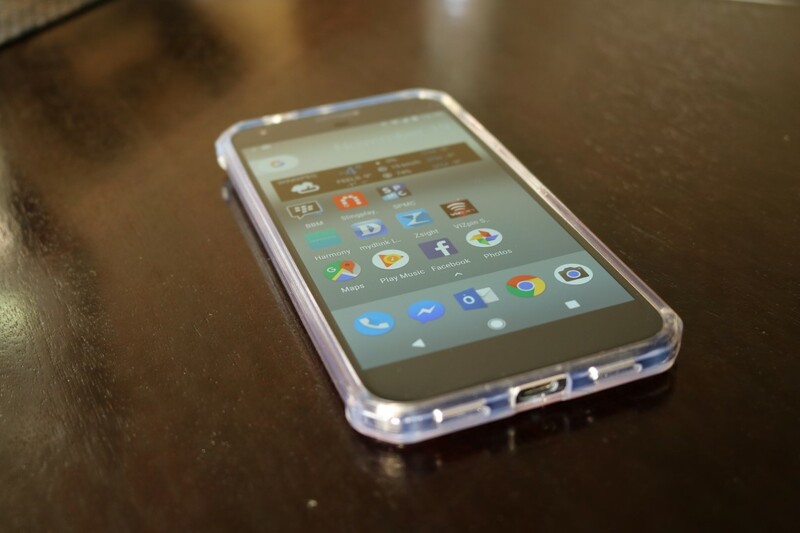 This is a smart phone built to carry 100 percent Google branding. The device that has been built to compete directly with Apple and Samsung’s latest. Regardless of any hype over the latest i products, Android dominates smartphone sales worldwide by a significant margin. Dealing with Google is considered to be less restrictive and comes with less of a cut of the profits so developers get to keep more of their profits, thereby attracting more app developers. 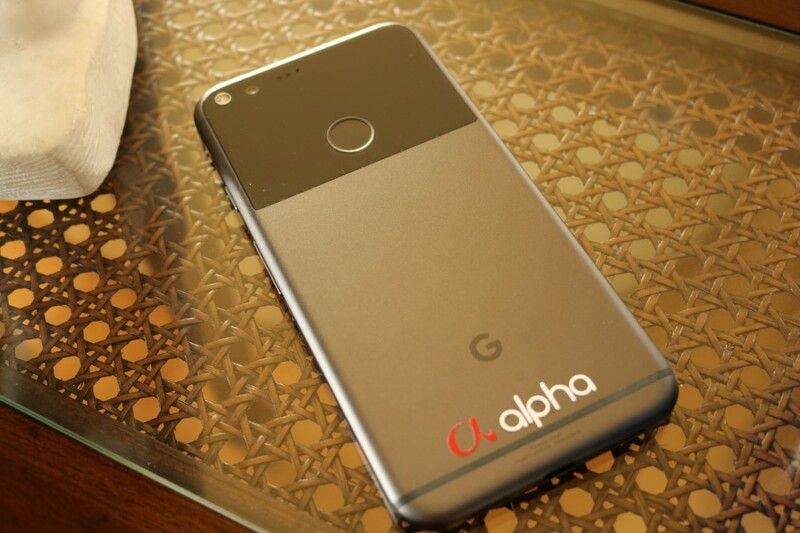 What remained for Google was to design products that would deliver the experience on a hardware platform built for the OS. The Pixel line does just that. The best camera on the market, in fact the highest rating on a camera ever. The latest Snapdragon 821 processor. Aluminum Unibody with Gorilla Glass 4. AMOLED screen with a resolution of 2560×1440. 32 or 128GB of RAM. Unlimited picture and video cloud storage. This smartphone is fast. No delays in loading or running programs. No feeling that anything is straining, battery stays cool and so does the chassis. Speaking of battery, this one is big enough to get you easily through a full day of usage, and possibly a good portion of the next day depending on how busy you are. Everything is smooth. Even camera response is instant, making for better pictures. Speaking of pictures and video, you will be impressed with both back and front shooters, 12.3MP in the back, and 8 in the front. What are the criticisms? There are a couple, and I will address them in my summation. First off, the lack of waterproofing. Secondly is the lack of optical image stabilization. Other than that, there are those that find the design to be the same as most others, but there is only so much you can do with a rectangle. So now that I have had a week to get used to the Pixel XL, and time to move over my apps and use it as my daily driver, what do I think? My issues with Android from previous devices has been addressed. Responsiveness is immediate, and everything comes without glitz. The phone has none of the additional software that is included with other phones, and is meant to be as clean a base as possible. Running the latest flavor or Android, 7.1, shows owners that they get the newest updates first. I skipped 6.0 as I knew of others that had issues with performance. I can attest that loaded up with my regular work apps has not introduced any lag at all. Google Assistant blows SIRI away. This makes sense considering the scope that Google as a company has. Their access to data dwarfs any company in the world, and that data comes in handy when it comes to intelligent assistants. I constantly am surprised by how well Assistant interprets my voice, and this will grow over time as the phone gets used to my ways. Pictures and video again have no equal. Colors are vibrant, and video in both 1080 and 4K is stunning. What Google did was use EIS, or Electronic Image Stabilization, does an amazing job. Videos look almost surreal. Pictures don’t require any adjustments, and the simple interface leaves most of the adjustments to the camera. If I want more power over my picture taking, I will pull out my Canon SLR. 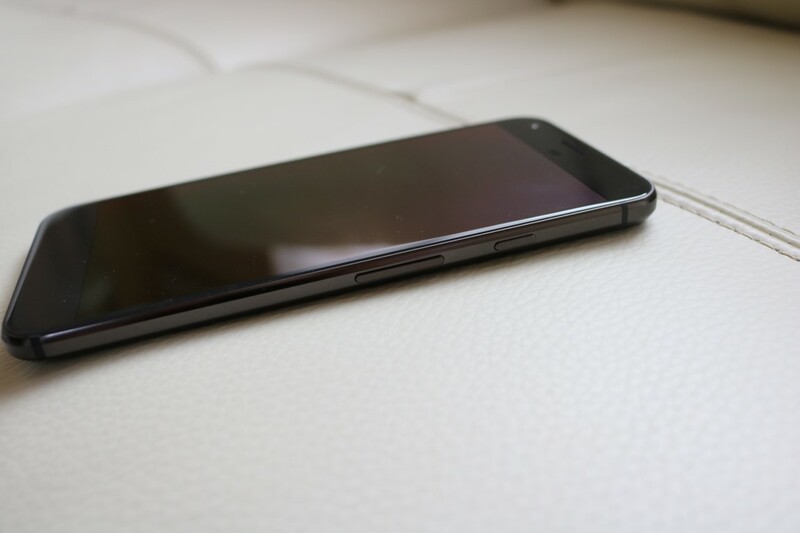 The construction and feel are as expected with a flagship device such as the Pixel XL. Solid. I decided to use a minimalist clear case that didn’t change the dimensions a lot but still gave me a base of protection. I felt no need to worry about the lack of waterproofing as I tend to not drop my phone in water, or swim with it. I know a lot of people that have had water issues, I just happen to be much more careful. With that being said, there have been tests that show that the phone seems to be water resistant without the official stamp. This mimics my feelings on having OIS for pictures and video. There is just no need. With this being done as EIS, and the results being imperceptible, I appreciate the lack of a camera bulge, and think that some reviewers are more concerned with acronyms than actual results. If you live in the Android universe, and need to have the best, then it has arrived. Your choice of models will depend on your need for screen real estate vs pocket space. The only other decisions will be memory size, and color. Two choices for each. 32GB or 128GB. Either choices come with unlimited picture and video storage with Google Drive, so this decision isn’t as important as with other phones, one of the primary reasons that there isn’t expandable storage. When it came to color, I went with black vs white as that has always been my color choice in the past. I admit that in the past the Android experience has mostly been lacking for me. With this latest device I find myself impressed with Googles decision to take things in house and put their best efforts forward. The results have surpassed any expectations and you can count me as a converted BB fanatic.